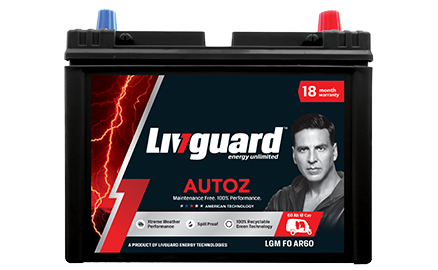 Designed to deliver a power-packed ride, Livguard motorcycle and scooter batteries are the best choice for the narrow lanes and tough terrains of India. 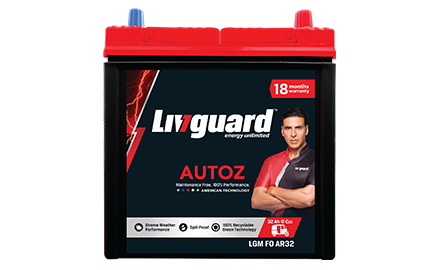 Livguard Autoz batteries are specially designed for three-wheeler applications, which require frequent start-stops and operate in rough road conditions. Best suited for Indian rodas, Autoz battery is strong enough to withstand severe operating conditions and arduous vibrations during the rides. A unique grid design, lower internal resistance and large terminals enhance re-charging capability of the battery during use.